Congratulations on taking your first step towards excellence! 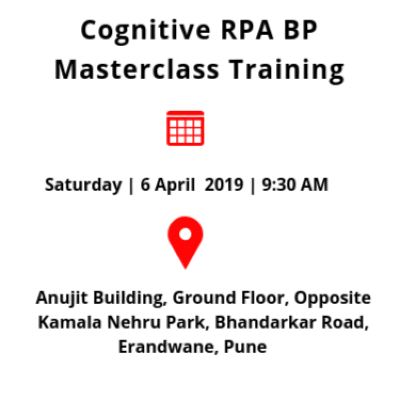 Cognitive RPA Blue Prism Master Class Training: The ultimate learning path to becoming a Cognitive RPA professional in the year of 2019. 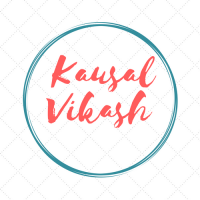 Emergenteck- Kausal Vikash is excited to announce 5 weeks Cognitive Automation Master Course – integrating RPA and AI using Blue Prism and IBM Watson, will establish your mastery of Robotic Process Automation (Blue Prism) with most renowned IBM platform Watson. Cognitive Automation course will prepare you for RPA professional roles and provide a timely boost for your career. 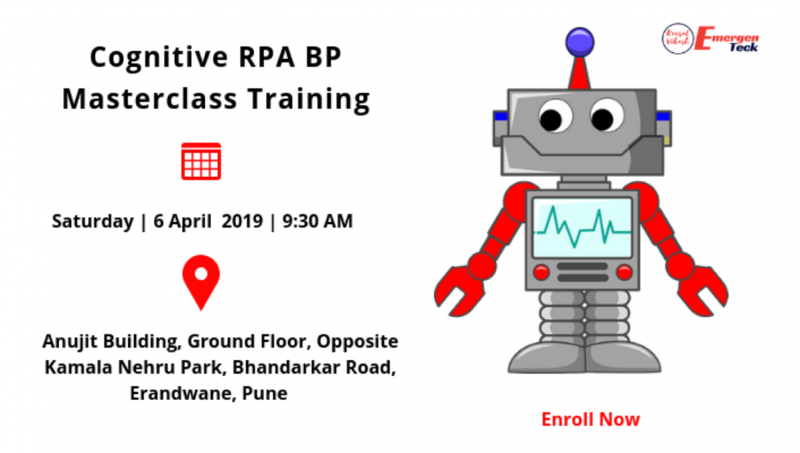 You’ll get hands-on experience in RPA by working on various real-time projects, learning Industry use casesacross BFSI, Healthcare, HR and SCM, RPA project life cycle, and Documentation process. Why should you learn Cognitive RPA Blue Prism Master Class Training? Becoming a Cognitive Automation professional puts you on the path to an exciting, evolving career that is predicted to grow sharply into 2020 and beyond. Robotic Process Automation, Artificial intelligence, and Machine Learning will impact all segments of daily life by 2025, with applications in a wide range of industries such as healthcare, transportation, insurance, transport and logistics and even customer service. Learning objectives of Cognitive RPA Blue Prism Master Class Training? · Learn Blue Prism Installation, Process and Object Studio, Control room, Queues, Login agent. · RPA Project life cycle and documentation procedure. Who should be learning Cognitive RPA Blue Prism Master Class Training? · Are you developers and interested in cognitive automation? · Are you a tester (manual/automation) and willing to transform your career? · Are you a BPO/Support professional and willing to switch your career to cognitive automation? · Are you an operation professional and willing to learn cognitive automation? · Are you a manager and willing do your hand dirty by learning Cognitive Automation. What are the Prerequisites to learn Cognitive RPA Blue Prism Master Class Training? There are no prerequisites required to learn RPA and Cognitive Automation. However, having basic knowledge of any programming language will be an added advantage. Feel free to let me know if you have any further query and I would be happy to assist you.